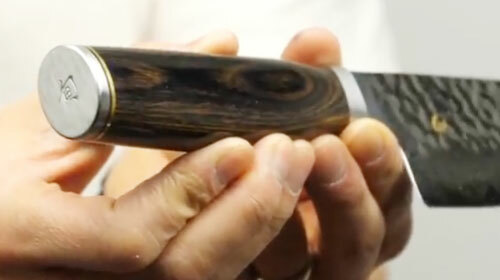 The Shun Premier Nakiri Knife is Japanese for "vegetable knife." Ideal for dicing, and chopping when processing vegetables. 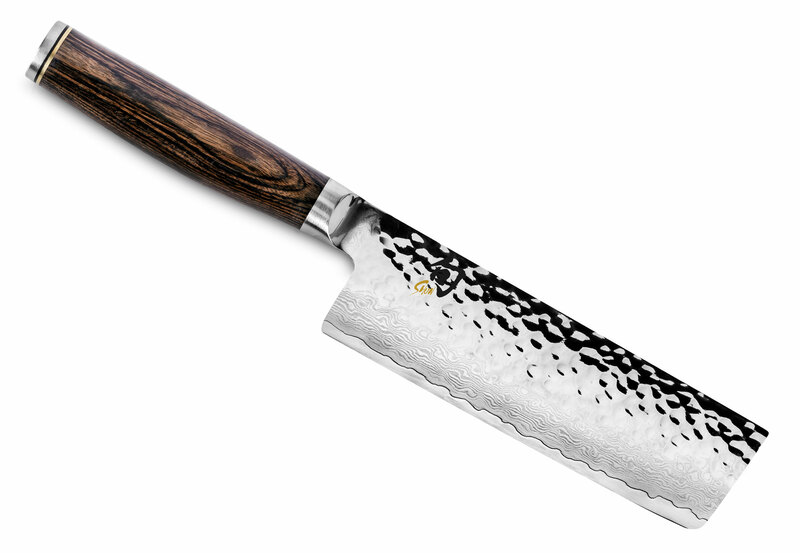 Because of its straight blade, edge, and spine, the nakiri isn't rocked like a chef's knife. Instead, use a push cut by moving the knife down and forward while keeping the edge parallel to the cutting surface. 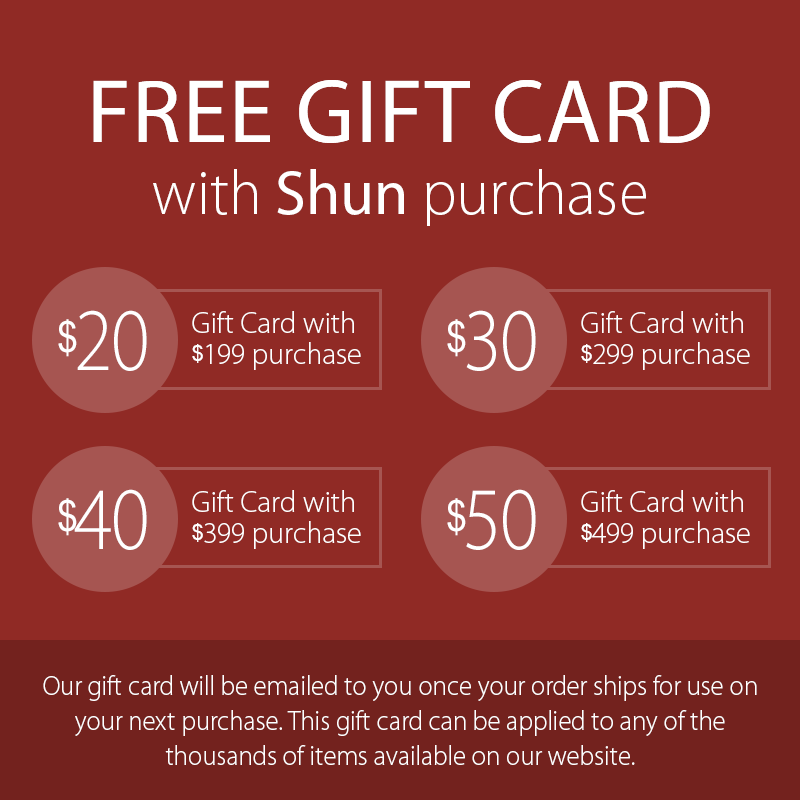 If you cut a lot of vegetables for salad or stir-fry, you will simply love using the Shun Premier Nakiri. https://www.cutleryandmore.com/shun-premier/nakiri-knife-p125172 25172 Shun Premier 5.5" Nakiri Knife https://cdn.cutleryandmore.com/products/large/25172.jpg 169.9500 USD InStock /Cutlery/Nakiri Knives The Shun Premier Nakiri Knife is Japanese for "vegetable knife." Ideal for dicing, and chopping when processing vegetables. 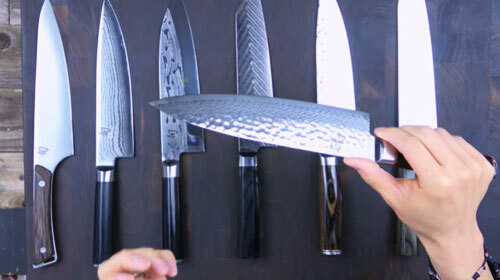 Because of its straight blade, edge, and spine, the nakiri isn't rocked like a chef's knife. Instead, use a push cut by moving the knife down and forward while keeping the edge parallel to the cutting surface. If you cut a lot of vegetables for salad or stir-fry, you will simply love using the Shun Premier Nakiri.